This August marked a successful second year for the Street Team of Marble Arch London BID. 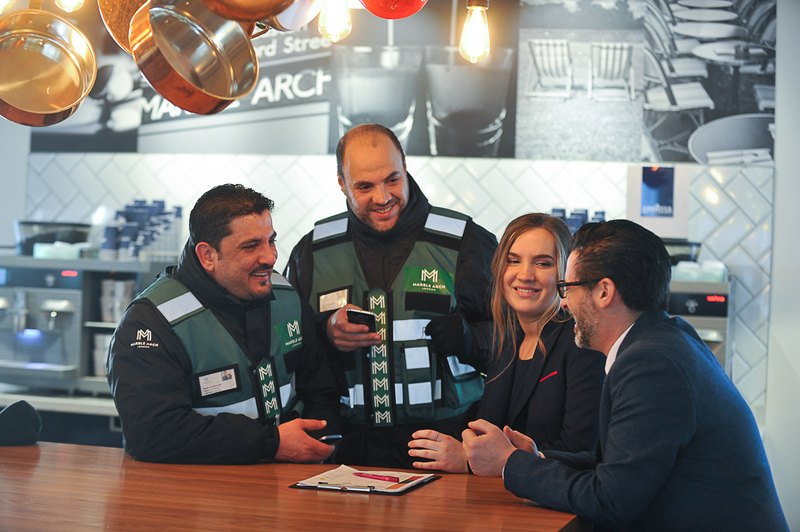 The Street Team, made up of Ali, Lotfi, Ben and Hamdan, continues to make substantial inroads in ensuring our businesses, their staff, customers and guests, residents, community and visitors feel safe in the area. The Team’s presence has become recognisable within the community. In fact, they were acknowledged in the 2017 Westminster Community Awards in receiving the Highly Commended Neighbourhood Project Award. Check out the intriguing infographic and see how you and your business can benefit. 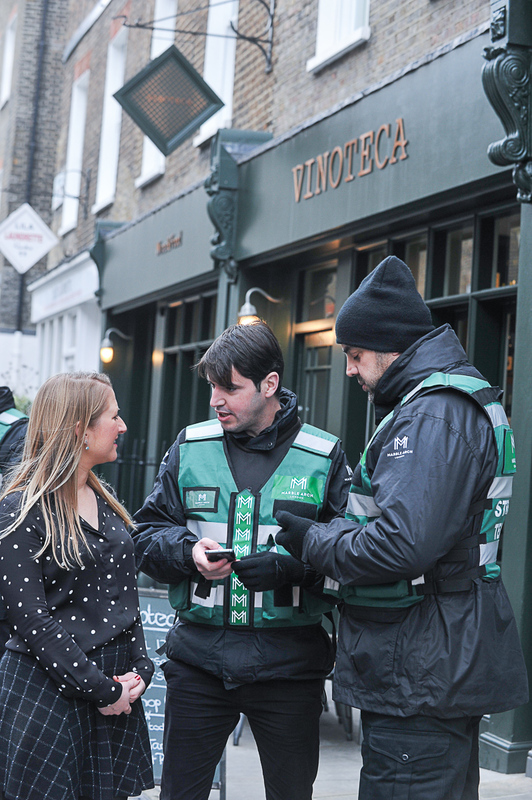 Since launching in August 2016, the Street Team continues to evolve and respond to local business needs by adjusting patrol times. This year, the Street Team added an extra patrol day to start on Mondays. Last year, patrol hours were also extended to cover local needs by adding a daily morning shift and later patrols on Fridays and Saturdays. The Street Team patrols 8:00am to 8:00pm in the winter and extending to midnight during the summer. Working Monday to Saturday, from 8am to 8pm in the winter (October to April) and extending to midnight during the summer (May to September), the Street Team looks after the whole of the BID area – from the top of Park Lane in the south to the Marylebone Flyover in the north, stretching from Old Quebec Street to the east and Connaught Village to the west, as well as Marble Arch itself. We have received excellent feedback on the Street Team’s work from residents, businesses, schools, ward Councillors, the community and the Metropolitan Police. In this past year, they responded to, elevated and assisted with 7,077 incidents in the BID area. 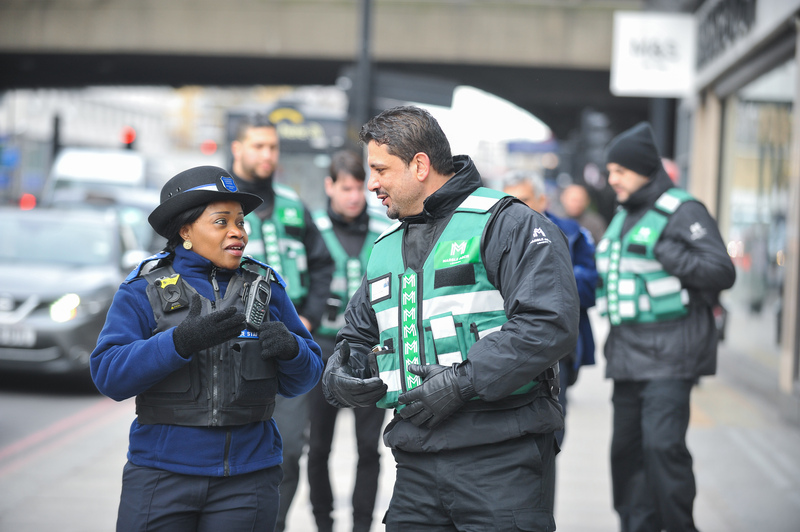 With the support of the Metropolitan Police, Transport for London and Westminster City Council, the Street Team has dealt with everything from referring vulnerable people to specialist agencies and catching to supporting the emergency services and connecting people with their lost property and persons. 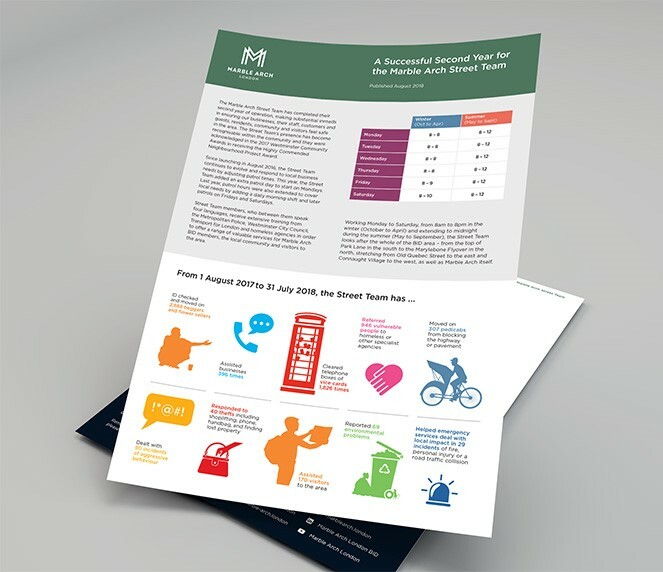 Download the infographic showing headline statistics from their second year, including a week in the life of a Street Team Member. As an ongoing asset to the BID, its members and the surrounding areas, we welcome feedback on the Street Team’s work. To speak with us about our Street Team, book an appointment to meet the Street Team members or for more information about the work of Marble Arch London BID email us getinvolved@marble-arch.london or call us on 020 3145 1210. You can always say hi or speak to the Street Team members when you see them in the area. They’re a helpful and friendly bunch. If you need immediate assistance from the Team call them on 07825 750777.